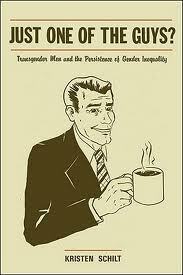 This entry was posted in Queer Academia and tagged Just One of the Guys, Kristen Schilt, mmmm coffee, Queer Studies. Bookmark the permalink. This session was awesome. It actually turned out to be a Fan Club meeting. Not that I was at all worried, however, it is always great to see a session where the subject matter can be discussed, celebrated, and extended. I hope if I ever have to meet the critics it goes half as smoothly. I especially enjoyed Irene Padavic’s comments. She was very eloquent and funny. I am so glad I got a chance to hear her speak first hand. I was also excited to see so many familiar faces at the conference and to have UNO students who were interested in attending, and attending this session. I was especially proud of the UNO student contingent that was present.